We've been asking you to "Renew Your Faith in Cotton." Watch this short video to see why. 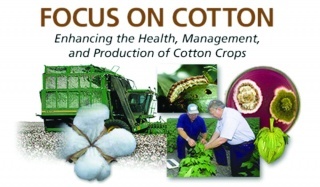 Cotton Incorporated and the Plant Management Network have teamed up to bring the cotton growing community a series of ‘Focus on Cotton’ webcasts on various aspects of cotton crop management. These talks are freely accessible 24 hours a day, 7 days a week and cover agronomic practices, crop protection, and ag engineering. “Selection and Use of Sensors for Cotton Irrigation Management in Humid Regions” helps cotton consultants, county agents, growers, and other practitioners improve irrigation practices by installing sensors to monitor real-time soil moisture. “Managing Thrips in Cotton: Research in the Southeast Region” provides cotton consultants, county agents, growers, and other practitioners with research data indicating how different thrips management strategies contribute to improved plant growth, plant health, and overall yield. Also discussed in the webcast is a prediction tool to estimate when thrips populations will emerge each spring, identify optimal planting dates, and learn specific thrips management strategies by region. “Capturing Value From Precision Agriculture Data: Big Data in Ag” helps cotton consultants, growers, and other practitioners understand how consolidated farm-level data will be increasingly used to identify trends, drive pricing structures, and help growers set best practices. St. Jude Children’s Research Hospital is an important part of Memphis, TN and an important part of many lives around the country. In 2012, The Cotton Board staff, along with its officers, began participating in the St. Jude Marathon Weekend and formed Team Cotton. Team Cotton’s goal was to deepen the sense of teamwork within the staff, all the while sporting cotton shirts and demonstrating that cotton cares about people and about the community. Team Cotton’s participation in the race has grown each year. In December 2015, the membership of the Cotton Board formally acknowledged this effort and asked staff to consider initiating an industry-wide outreach on behalf of cotton. Team Cotton is inviting the Cotton Industry to join us and show the kids and families of St. Jude Children's Research Hospital just how strong the cotton family can be. The cotton industry goes through ups and downs, challenges and triumphs. But no matter what happens, cotton is always there. This year, we've asked you in the cotton growing community to renew your faith in cotton, and reminded you that the possibilities for cotton are limitless. Our goal is to give the kids and families of St. Jude a reason to have faith in cotton. Every bit of support we show these families matters. Our cotton family knows how to be tough in the face of adversity. Let’s show these families that TEAM COTTON may sound soft, but we'll race hard for the kids of St. Jude. There are a couple of ways you can join our team. Our favorite would be for each of you to come and walk or run the 5K, 10K, half marathon or full marathon with us! St. Jude Memphis Marathon is Saturday, December 3rd, 2016 in downtown Memphis, TN. VIP registration is currently open and general registration opens on June 1st. The other way you can participate is to donate to St. Jude through Team Cotton . To find out more about how to get involved, click on this link to our Facebook event and RSVP that you’re interested. Team Cotton is proud that so many people are planning to join us in Memphis for this great event. 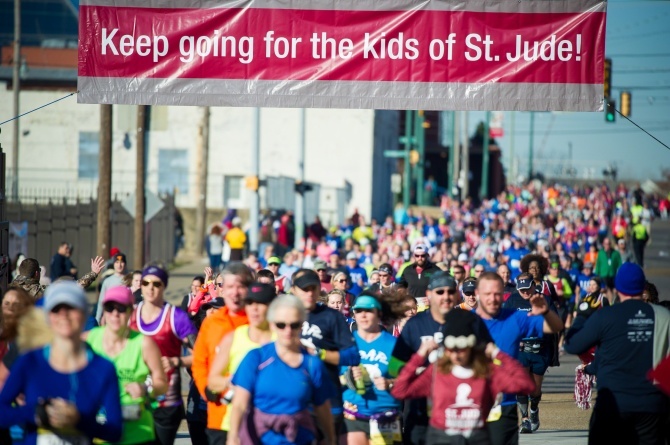 No Cotton Board funds will be used for the St. Jude Memphis Marathon Weekend. If you have any questions, please do not hesitate to contact us at ewyonzek [at] cottonboard [dot] org. We look forward to racing for the kids of St. Jude with you! The A Index and NY Nearby rose and then retreated over the past month. Despite recent declines, current levels remain above those a month ago. Prices in China, India, and Pakistan increased last month. The A Index increased from levels near 67 cents/lb a month ago to those 72 cents/lb in early May. The most recent values have been around 70 cents/lb. In contrast to the movement in the A Index and NY Futures, the China Cotton (CC) Index has only increased in recent weeks. In international terms, the CC Index rose from 82 cents/lb one month ago to near 87 cents/lb recently. In domestic terms, the CC Index increased from 11,700 RMB/ton to 12,500 RMB/ton. Prices for the Indian Shankar-6 variety moved generally higher over the past month, rising from 63 to 67 cents/lb. In local terms, values also increased slightly, climbing from 33,200 to 34,800 INR/candy. Pakistani spot prices also rose, climbing from 61 to 65 cents/lb in international terms and from 5,250 to 5,550 PKR/maund in domestic terms. In May, the USDA releases their first complete set of estimates for an upcoming crop year. Their forecasts call for an important increase in global cotton production, a slight increase in global mill-use, a slight contraction in trade, and a reduction in world ending stocks in 2016/17. Next crop year's global cotton harvest is projected to be 104.4 million bales. If realized, this would represent a 4.8 million bale (4.8%) increase relative to 2015/16. However, the current crop is the smallest since 2003/04, and the volume predicted for the coming season is not large by recent standards (10-year average is 116.3 million bales). At the country-level, the largest changes are predicted for Pakistan (+2.0 million bales, from 7.0 to 9.0 million), the U.S. (+1.9 million, from 12.9 to 14.8 million), India (+1.2 million, from 26.8 to 28.0 million), and China (-1.3 million, from 23.8 to 22.5 million). After adverse growing conditions negatively affected production in Pakistan, India, and the U.S. in the current crop year, the global increase in production can be seen primarily as a result of expectations for a return to normal growing conditions in 2016/17. Government reforms in China are behind the decrease in acreage and production in that country. World mill-use is expected to increase 1.8 million bales next crop year (+1.6%, from 109.0 to 110.8 million). After six consecutive years of decline, consumption is forecast to rise in China (+1.0 million bales, from 32.5 to 33.5 million). The assumption of growth in China is likely related to the reductions in Chinese cotton prices over the past year. Mill-use is also expected to rise in a range of other countries, including Vietnam (+400,000, from 4.7 to 5.1 million), Bangladesh (+300,000, from 5.7 to 6.0 million), and Pakistan (+250,000, from 10.3 to 10.5 million). Global trade is projected to contract slightly in 2016/17 (from 34.0 million bales to 33.1 million). The largest country-level reduction in imports is anticipated for Pakistan (-1.4 million, from 3.1 to 1.7 million), where a return to normal growing conditions would imply a reduced need for imports. This should have a pronounced impact on Indian exports next crop year (-2.0 million, from 5.8 to 3.0 million) since India was the dominant source of Pakistani imports this season. Another factor affecting global import demand is the continued absence of China. China is projected to bring in only 4.5 million bales in 2016/17. While this would represent an improvement relative to the current crop year (+250,000 bales versus the 4.3 million bales estimated for 2015/16), the volume forecast is only about one third of the average over the past ten years (12.4 million). With global consumption expected to exceed global production, world ending stocks are predicted to decrease for a second consecutive crop year (-9.6 million bales in 2015/16, -6.4 million bales in 2016/17). In 2016/17, virtually all of the reduction in global stocks is expected to occur in China, where the decrease can be seen as part of the process of drawing down the massive supplies held in the Chinese reserve system. In mid-April, the Chinese government announced price-related details concerning the current release of cotton from reserves. Sales began May 3rd and are scheduled to continue through the end of August. The total amount of cotton eligible for auction during this time period has been established at two million tons with the initial daily volume set at 30,000 tons. Foreign cotton held by the reserve system is to be sold first, followed by the oldest domestic stocks. Quality determinations will be made by the State Fiber Inspection Bureau. Quality-related price differentials from the China Cotton Association will be implemented. Base grade prices are derived as a 50/50 average of international and domestic prices from the previous week. The international component will come from the A Index (plus a one percent duty and 13% VAT) converted into RMB using the official customs exchange rate. The domestic component of the 50/50 international/domestic average is itself derived as a 50/50 average of the CC Index and the Chinese National Development and Reform Commission (NDRC) CN cotton ‘B' price. Thus far, mill uptake has been strong, with virtually all of the cotton offered for sale being purchased by mills. The strong pace of sales contrasts with the low rate of purchases made in the preceding round of auctions (July-August 2015), when only 6% of the total amount of cotton offered was purchased. Reasons for more aggressive purchasing by Chinese mills could be due to the narrowing of the separation between auction prices and international prices since the summer, the quality of the foreign cotton being offered for sale, as well as the drawdown in mill inventory that likely occurred ahead of the current auction as mills were waiting for price-related details to be released and for the auction process to begin. As increasing proportions of domestic supplies are put up for sale, a stronger test of the ability to move reserve stocks will begin.